THOR's all-new creative team and all-new era kick off HERE! In the wake of SIEGE, Asgard must take its proper place as the Golden Realm, most glorious of the Nine Worlds of myth. But that means Thor's home isn't just a beacon - it's a target! And what happens to the Asgardians and the denizens of all Nine Worlds - including Earth! - when a dark, destructive force from another reality comes on the warpath? Plus: The nefarious Grey Gargoyle, on a quest for immortality, sets out to attain godhood in Asgard. Thor, God of Thunder, must end Gargoyle's rampage! Witness an epic showdown between the Prince of Asgard and the dreaded villain with the power to turn his enemies to stone! But can even the Mighty Thor defend the Golden City, and how will this battle impact Asgard for ages to come? Find out here! 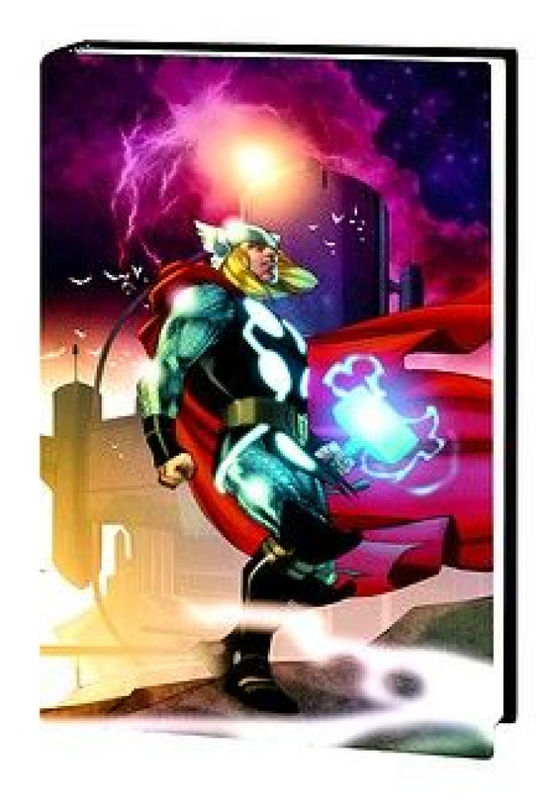 This title collects THOR #615-621 and #620.1, plus material from THOR SPOTLIGHT.